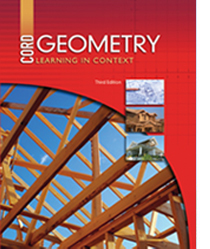 This site lists the basic geometric figures, defines them, and shows examples. This site explains the basic 2D figures and has a matching game at the end of the presentation. This page explains how to find the length of a line segment by explaining examples. This page explains angles and basic angle terms and includes pictures. This site has instructions for constructions using only a compass. This site contains lessons on basic constructions with practice problems. This page contains notes on perpendicular lines and has a coordinate grid to display the lines. This page contains nicely illustrated definitions of perpendicular and parallel lines.